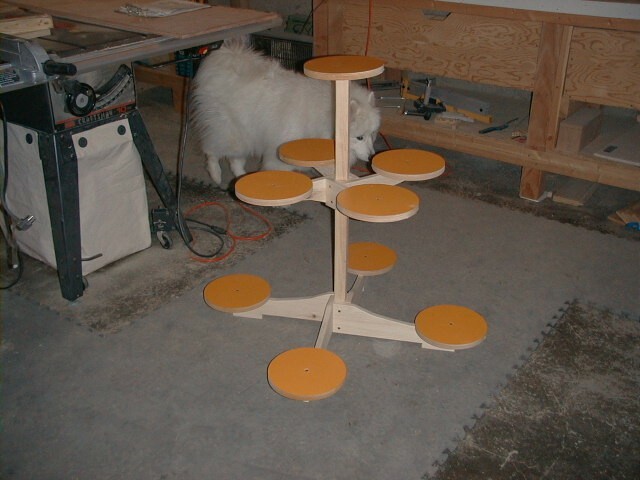 Nine-Pot Plant Stand: This project came from some online plans by American Woodworker magazine. Michael Flaherty had a huge pile of laminated birch ply wooden discs from another project; he gave me nine of them, and I incorporated them in this project. That's my samoyed Lulu examing the construction. 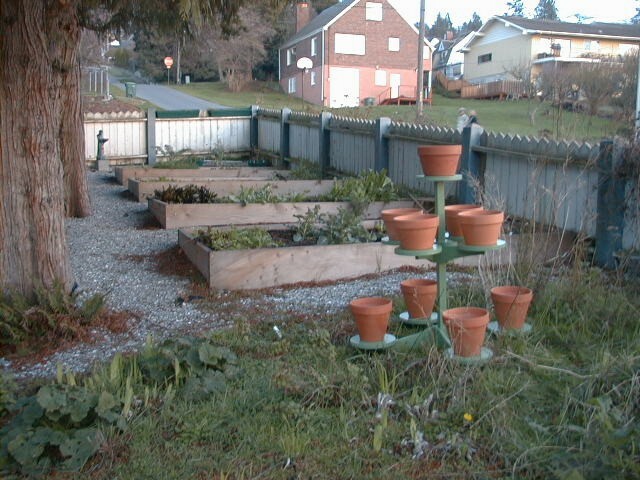 This summer I plan to grow strawberries in the pots out in my vegetable garden. As indicated in the plans, there are pointed dowels sticking up through the holes in the bottom of the pots to hold them in place. I didn't round off the disc edges since the stand is more functional than decorative.